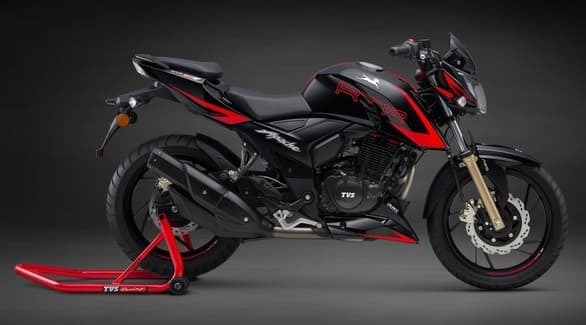 In an attempt to make the Apache RTR 200 4V more snappier, the TVS Motor Company has launched an updated version of the bike dubbed as Apache RTR 200 4V Race Edition 2.0 with an all-new A-RT(Anti-reverse torque) slipper clutch, which TVS claims to be first in the segment. The bike has also got new sporty decals and a visor. 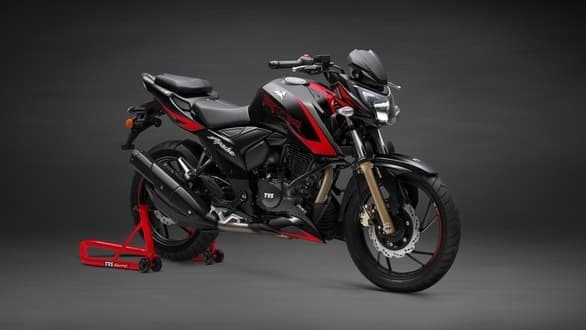 As was the case with the RTR 200 4V, the updated version will also be available in three variants: Carburetor, Electronic Fuel Injection, and Carburetor with ABS. The term Race edition 2.0 might make you curious about what is so racy about this bike. Well, it is the Slipper Clutch or the back-torque limiter, which is a specialized clutch employed in performance motorbikes. In effect, the slipper clutch will allow easy and swift shifting of gears resulting in a smoother riding experience and at the same time reducing the gear shifting time resulting in faster acceleration. The new clutch will also offer safer downshifts by preventing the rear wheel lockup. Stability of the bike is also improved due to the clutch as rear wheel hopping at corners are reduced. TVS claims that the clutching force has been reduced by 22%. The new Apache will be available to customers in three variants at the following prices(ex-showroom Delhi): Carburetor at Rs. 95,185. EFI at Rs.1,07,885. Carburetor with ABS at Rs.1,08,985. Customers can opt for Pirelli tyres if they wish. The bike comes with the same 197.75 CC single cylinder engine as earlier, which produces 18.1Nm torque(at 7000 RPM) and 20.5 PS power(at 8500 RPM) on the carburetor variant and 21 PS(at 8500 RPM) on the fuel injection variant. Other specifications of the bike include a 5-speed gearbox, front, and rear disc brakes, a 12 L fuel tank and a 180mm ground clearance. Telescopic forks on the front and Mono Tube - Monoshock-type on the rear make the suspension of the bike. The maximum speed of the bike as per TVS is 128Kmph/129 Kmph(Carburetor/EFI). The bike will be available in five colors: Black, Matte Black, Red, White, and Grey.